AFTER rising from the ashes a decade ago, two carers are celebrating 10 years at the helm of their very own care company. Carol Earner and Carol Swann established Phoenix Care At Home Ltd in April 2006 after being made redundant as part of cuts to a national care provider. Using their redundancy pay outs they decided to establish the small private care firm, creating a base at Chivenor and turning to their former colleagues to help create a team of dedicated care workers. 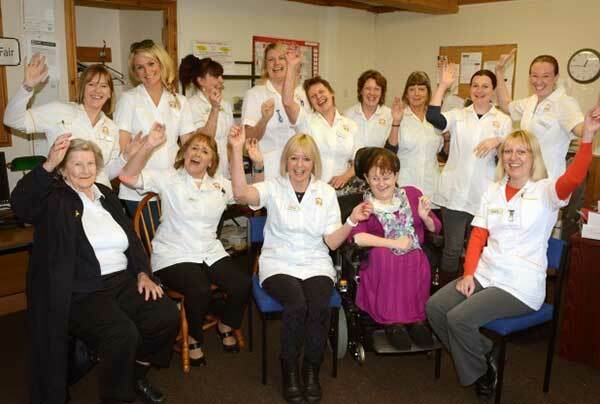 Now a decade later, the company is stronger than ever – despite pressures in the care industry as a whole – and looks after a small group of clients across North Devon. "We have consciously made the decision to stay small so we can offer a strong service," Carol Swann said. "We are conscious about that and we don't want to become a big agency. We feel if we grow too big we wouldn't be able to sustain that, and that would impact on the care we could offer." As a result the company is currently home to 15 care workers, several of whom worked alongside the two Carols before Phoenix Care was established. Both Carols also actively work as care workers, which according to Mrs Swann has helped them to better understand the current pressures on their colleagues and the needs of their clients. "Because we are out there doing the job we know what's possible," Mrs Swann said. "I think it has really helped us." She added: "It was a really hard decision at the time when we set it up. There is an awful lot involved in setting up a care provider and we had a very limited time to get it set up before the other service was withdrawn. "It was important that there was a smooth transition and we were so happy when we managed to achieve that." To celebrate its first decade, Phoenix Care At Home Ltd held a celebration yesterday. We had a 2013 'Calendar Girl' style calendar for sale (all carers are the models) for £10 each as we are raising money to keep our wheelchair accessible vehicle on the road which we lend out free of charge to our clients on holiday. Phoenix Retreat is a bungalow adapted for wheelchairs, situated in the picturesque village of Braunton, North Devon. We pride ourselves on providing accessible holiday accommodation that is able to meet most individual requirements. Phoenix Retreat is fully accessible to people with disabilities. Qualified carers to assist our disabled guests are available if needed, and charged for accordingly. We have been fundraising to purchase a wheelchair access vehicle to take our clients on outings, appointments etc.. or for their families to use to take them out, free of charge. As well as fundraising we have been given generous donations from clients to help us reach our total of £5,500. We have now been able to purchase a vehicle. The most fun part of the fundraising was the 'Calendar Girl' style 2010 calendar we produced, which some of the carers took part in. It was great fun, which got us in the local newspaper and on the local tv news.